For this project, I chose my bedroom that I shared with my sister at our family’s old apartment because I have a lot of great memories from that place. The bedroom, or that space, has left an extremely vivid image of how it looked when I was 3, 4, 5, 6, etc. years old even though my mom had it rebuilt a couple of times. It was quite challenging to develop this space using digital tools because I couldn’t find the correct color or the correct furniture; however, I tried to resemble it as closely as possible even though I haven’t found a couple of furniture pieces that are even close to how I remember my bedroom. After using the Sketchup program, I realized that it gave me more of a headache than it actually was an appropriate program to use for this project. So, I recreated my bedroom in a different program. The digital part of this project was a way for me to remember and plan how my room looked like, and present it in a technical form. In the end, this is the digital form of the project that I ended up with. Although, this is not the final outcome becaue it seems quite foolish and unsophisticated. 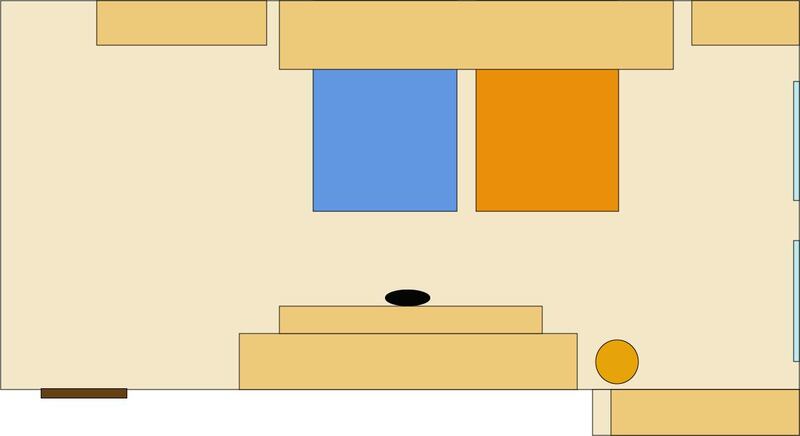 For my material representation, I brainstormed and tried to remember where the furniture was, how the room looked like. 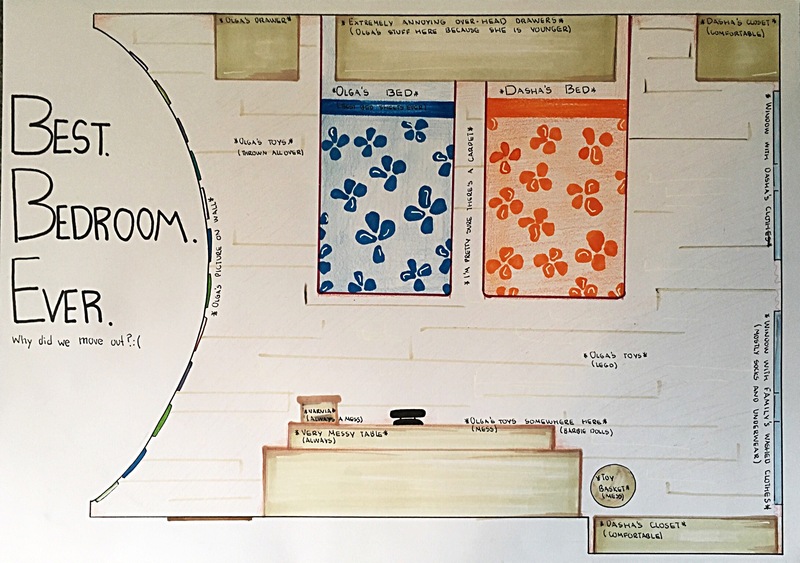 After creating that little, sketch map and remembering everything I could about the room, I started drawing it which led straight to my final outcome of the material representation. What I ended up with as my digital version of my childhood bedroom, I still wasn’t happy with the outcome. 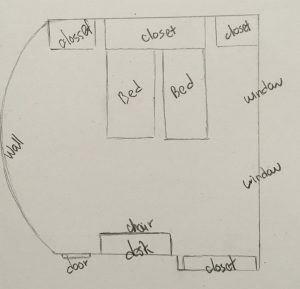 I was so determined to demonstrate my old bedroom, that I didn’t look at any other personal spaces that I could represent. It took me quite a while to realize that It’s not the best idea. 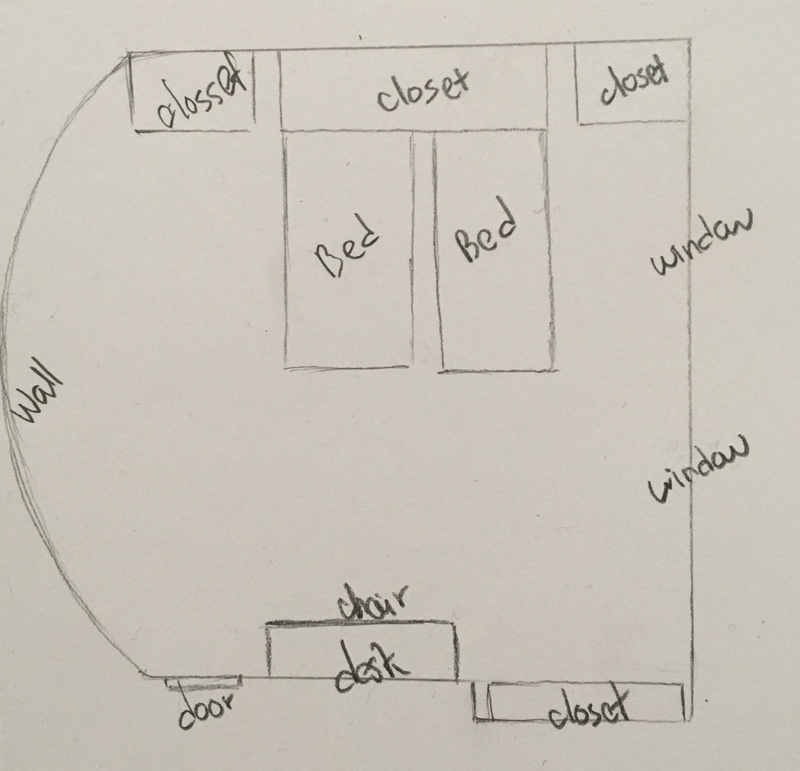 So, I thought about a space that is very personal and also connects with my old bedroom. I decided to make a film of my working space in Paris, in my apartment, which, strangely, looks a lot like how my playing/working space in my old bedroom. The two representations have a certain connection, which is what I was going for. Back in my old bedroom, I had a particular part of the room where I would have a mess of my toys and I would never clean it up; later on, it was my drawings. So, both of the presented spaces had/have a personal importance to me-it’s MY space; space where I used to spend most of my time, and a space that I currently spend most of my time. While filming this video, I didn’t even bother to clean up the water bottle, the paper roll, or the teacup from the table because I felt like those objects were also part of my working space. The paper towels are always next to me when I paint, the teacup is always filled with tea, and I always drink a lot of water. 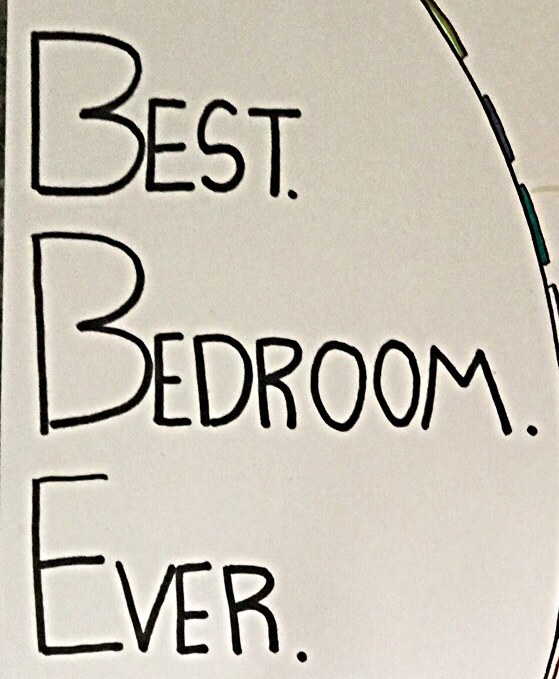 While drawing this “bedroom plan” I have remembered some details that I couldn’t at first. For one I remembered that the wall was curved the other way and minor details like the toy basket that would always annoy my sister, the bedsheets that I loved a lot and wouldn’t let my mom change, the pictures I stuck to the wall, and more. Those little details are the things that make my bedroom my personal space. While I was drawing, I couldn’t help but smile because the memory of little things like the pile of the entire family’s socks, the drawers with my toys, the fact that I hated the over-head closet, simply bring back the childhood memories. it brings back the time when our family would always see each other because we lived in an apartment. If not today, then tomorrow my dad would come in to find his socks on the window, mom would walk in to call for dinner, my sister (Dasha) would talk on the phone, and my brother would scream from the other room telling her to shut up. This bedroom was a sort of meeting point for some reason, which I think is quite unusual. While working on this project I realized that it doesn’t have the same sophisticated look as the others do, but I think that contributes to the whole idea of recreating a space from your childhood. The idea of drawing a space from when you were a kid by using memory makes it impossible to apply sophistication to the drawing. My memory of that room is held in a child’s perspective. In a way that no matter how hard I try, the way I see that bedroom will always be from a child’s point of view which is what makes this project unsophisticated but beautiful.